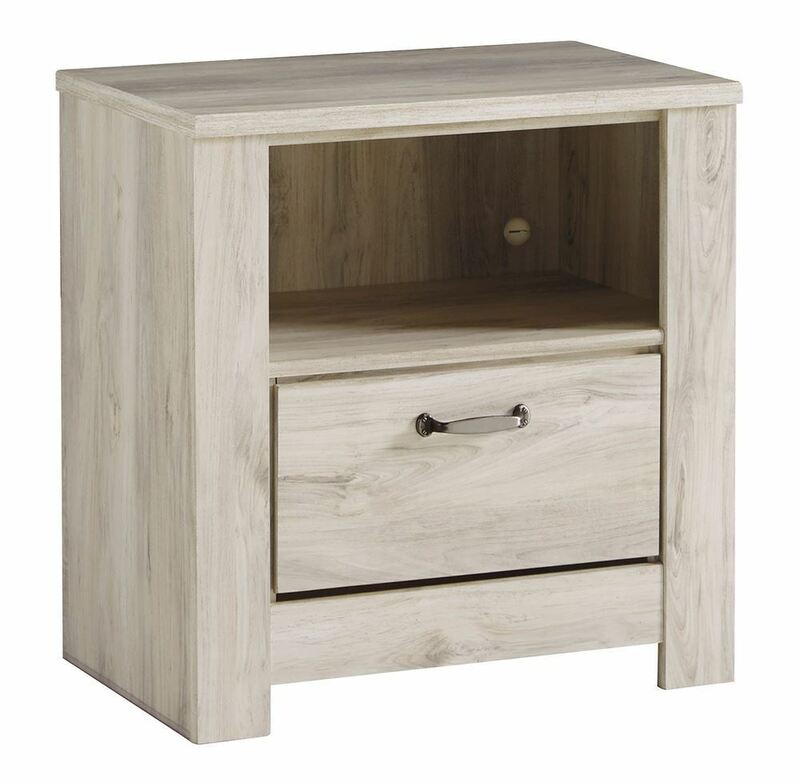 Add some stylish charm to your personal space with the Bellaby Nightstand! 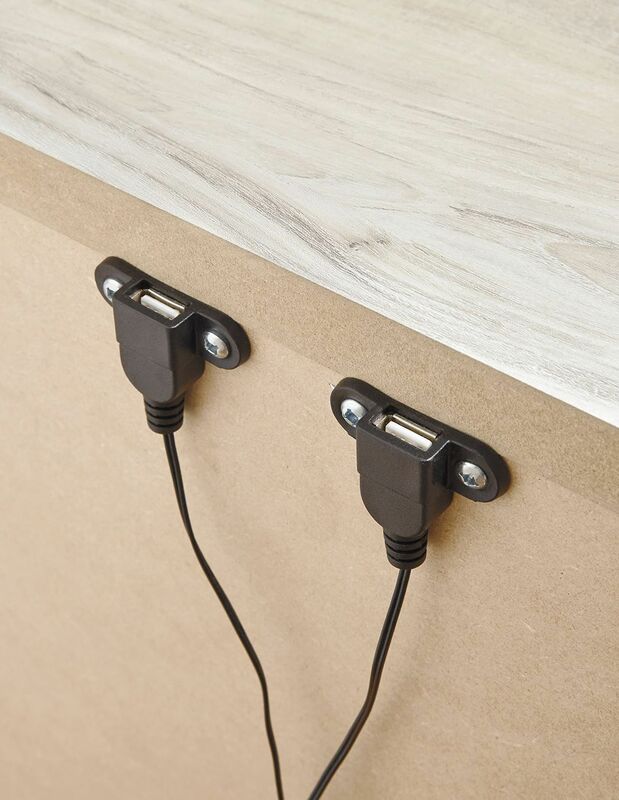 This lovely piece will add an elegant touch to your room, featuring a wispy white finish over replicated oak wood grain, brushed nickel-tone handles with black edging, one spacious drawer and one storage cubby to store all your valuables, and a handy USB charging station. 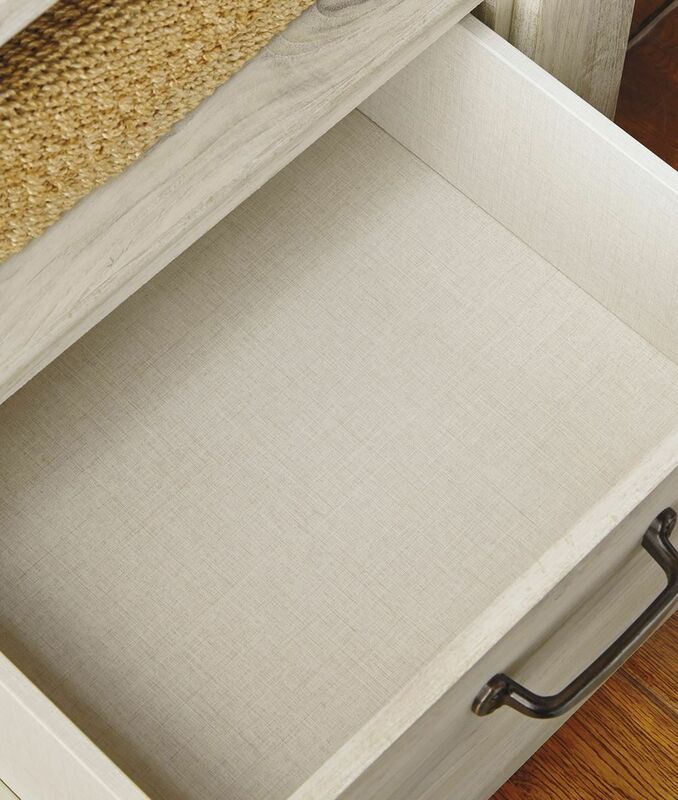 Bring home the Bellaby Nightstand today and start creating the bedroom of your dreams. 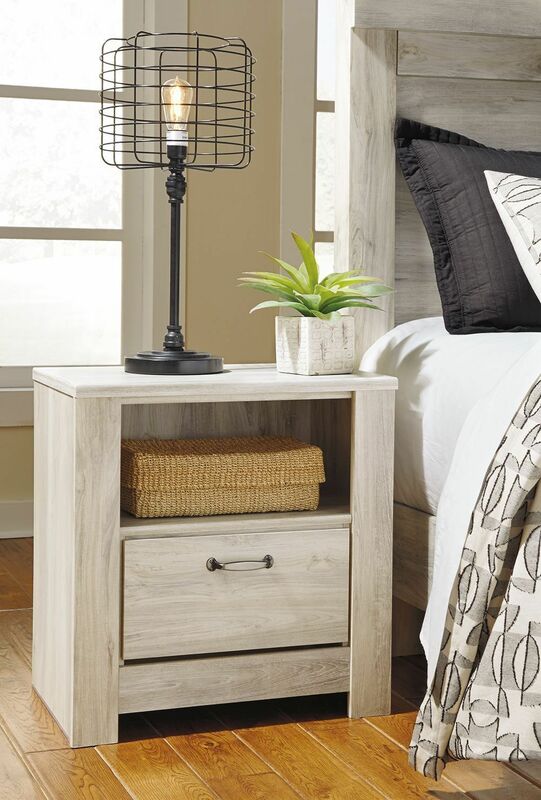 Add some stylish charm to your personal space with the Bellaby Nightstand!